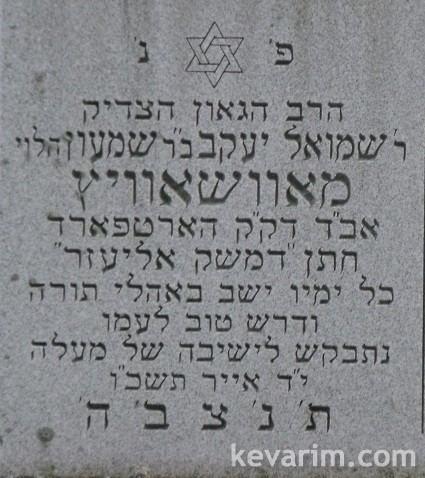 The Rav, who studied in Slabodka was the son in law of the baal Damesek Eliezer, Rav Eliezer Nitsberg. was he related to the famous Movshovitzes? He was born in Slonim. His son-in-law was R’ Refoel Moshe Gibber. Rav Mowshowitz served in Albany NY prior to his going to Hartford, his son R’ Yiroel was ordained in RIETS in 1938 and was installed as Rabbi in Durham, NC. Reb Yisroel was later in the Bronx. He had a son R’ Yosef who was also in the Bronx. 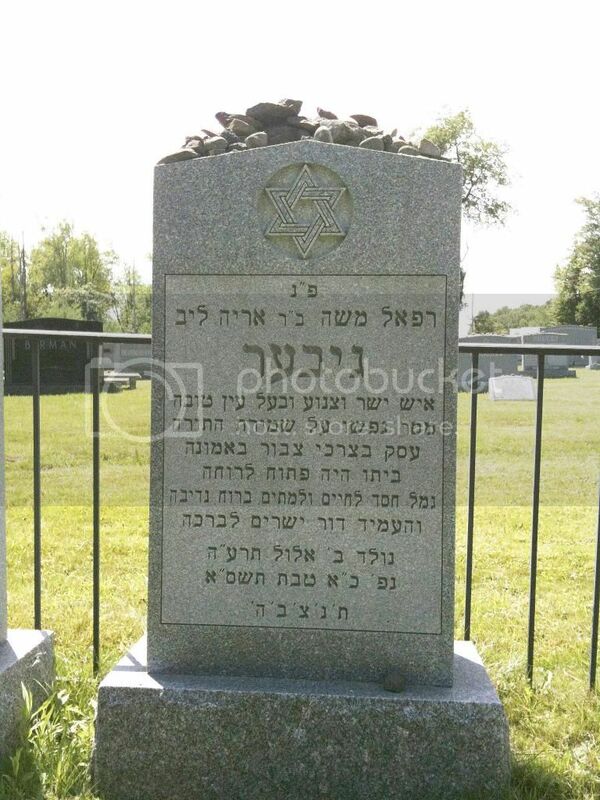 Based on dates I think there were two R’ Yisroel Mowshowitz here, the one from the Bronx was prior to that in Trenton NJ and when he went to the Bronx, Reb Yaakov Kantrowitz took his position in Trenton, that was back in 1928. The R’ Yisroel who was the son of Reb Shmuel Yaakov and was ordained in 1938, became the son-in-law of the Meicheter Illui R’ Shlomo Poliatchek and served in Durham NC. I also find a R’ Yisroel Mowshowitz who was Mashgiach in Bialistock and came to the US in 1940. I believe they actually lived with him for some time. Interesting to see the quantity of pebbles placed on so many markers in that cemetery (check out other pics in this folder), which i haven’t seen in cemeteries closer to NYC area (more accessible).